The X Grill is the barbecue you can take anywhere. 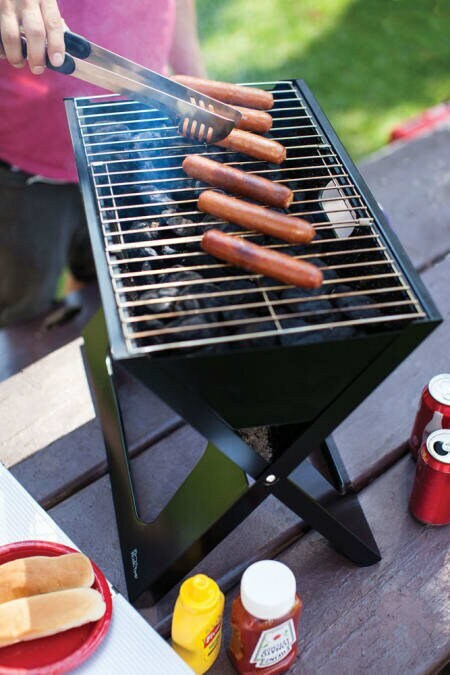 This lightweight, easy to open up grill is perfect for picnics on the beach, in the park, tailgate, or any outdoor get together. 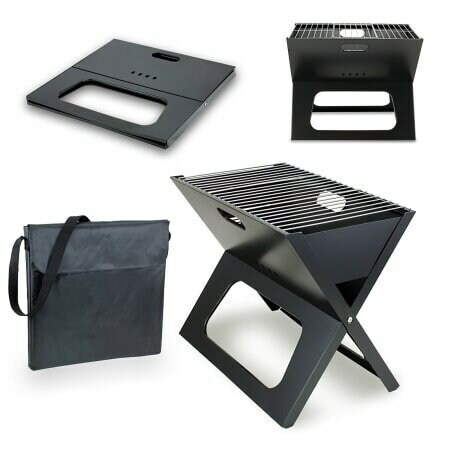 The electro-plated steel grill that packs folds into a convenient bag! Outdoor living featured the x grill on "The it list". Flat dimensions: 19.125" x 19.625" x 1.25"
Opened dimensions: 19.125" x 12.25" x 16"